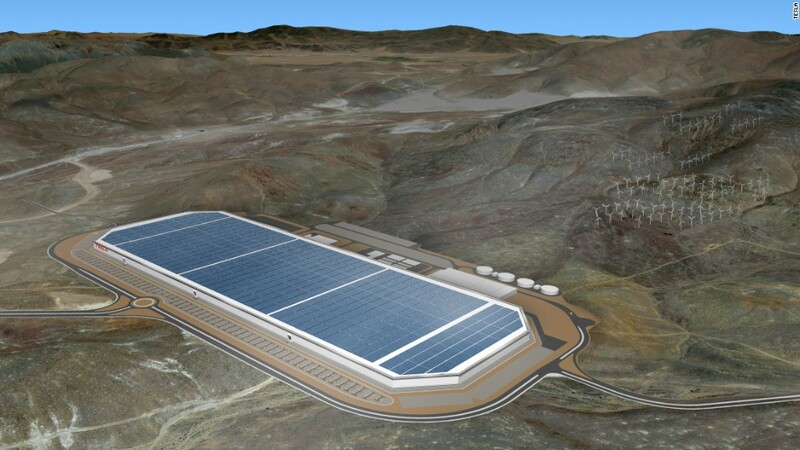 Tesla already put together the world's biggest lithium battery in Australia. Now it's going for another record. The state of South Australia has announced plans to equip at least 50,000 homes with solar panels and Tesla (TSLA) battery storage units, connecting them all to the electricity grid to form the world's largest "virtual power plant." More than 6,500 homes have already signed up to register their interest in participating, South Australian Premier Jay Weatherill said in a tweet Monday. Virtual power plants work by using multiple energy sources -- rather than one big power station -- to ensure a reliable supply. In South Australia's case, the solar panels on people's homes will generate electricity that can be stored in the battery units and then supplied to customers. Participating households will benefit from cheaper energy bills while also generating energy for the South Australian grid, the state government said in a statement Sunday. They won't have to pay for installation because it will be financed by the sale of electricity. The four-year project is being bankrolled by taxpayers through a government grant and a state-funded technology fund totaling $32 million Australian dollars ($25 million). The system will monitor data across the network of solar panels and batteries in order to provide a more reliable energy supply. That's a key issue in South Australia, which has suffered from frequent power outages and shortages. As part of the broader efforts to improve the state's energy supply, the government in December switched on the world's largest lithium ion battery, a project spearheaded by Tesla CEO Elon Musk. South Australia's 1.7 million residents suffer regular power cuts and energy shortages. A major blackout occurred last February when a heat wave caused demand to spike. And in late 2016, much of the state was left without power after a storm damaged crucial transmission lines.